Why do I need a Complete Exam? For me, the complete exam is the best way for patients to appreciate and obtain the best dental care, as well as the benefit of getting the least amount of dentistry. It might appear easy to just look at a lot of dental problems and master procedures that solve them quickly. For example, the deep notch on the side of the tooth is making it sensitive so let's insulate it with a filling. Or part of that tooth is fractured so let's cap it with a stronger material. However, these are examples of treating a symptom without addressing the cause. The cause remaining, the patient will be back for the same problem if not more pretty quickly. 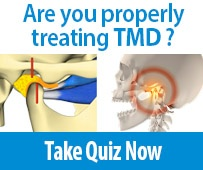 If we spend the time to use a complete exam and evaluate all of the existing conditions of the teeth as well as the gums, the bone, muscle, joints, and airway, then we have an opportunity to find the root causes of our patients' dental issues with confidence and to truly eliminate those dental problems from returning. One of my favorite quotes that Dr. Dawson introduced me to applies so well to this, "The longest path between two points is a shortcut." The complete exam removes the shortcuts and gives you and your patients the best chance for long-term success. 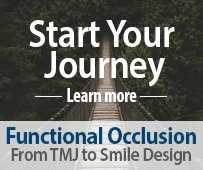 To learn more about a complete examination process that allows for accurate diagnoses, consider taking the Examination and Records course or starting with Functional Occlusion - From TMJ to Smile Design. 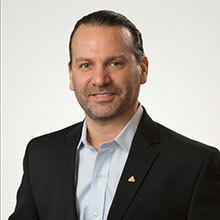 Dr. Andrew Reingold established Everlasting Smile, a cosmetic and comprehensive dental practice in Manhattan, New York. There, with his vast art training and experience in functional dental esthetics, he continues to provide minimally invasive dentistry to patients from all around the world.